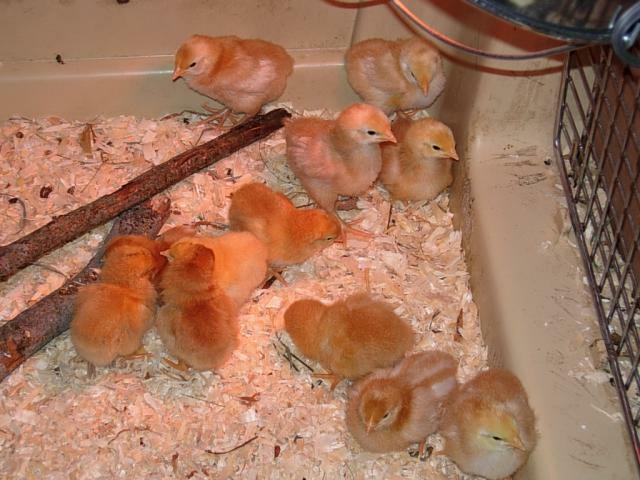 Ordered our first set of chicks, 6 Buff Orpintons and 6 Golden Comets, from the local Mackey's on March 23, 2011. UPDATE! The Comets have arrived today, April 15, 2011!! 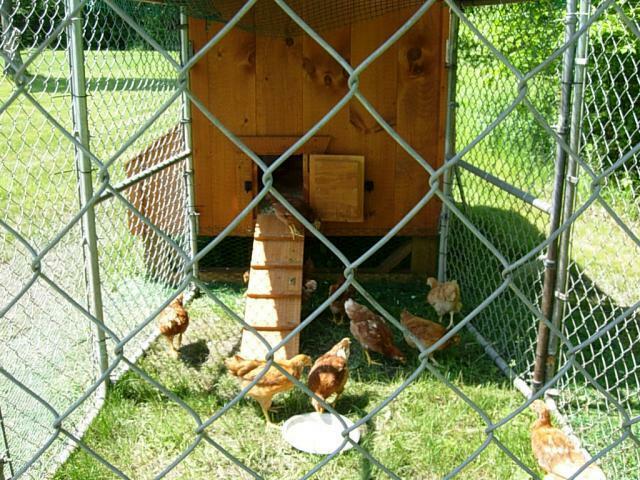 They are now safely in their new home! 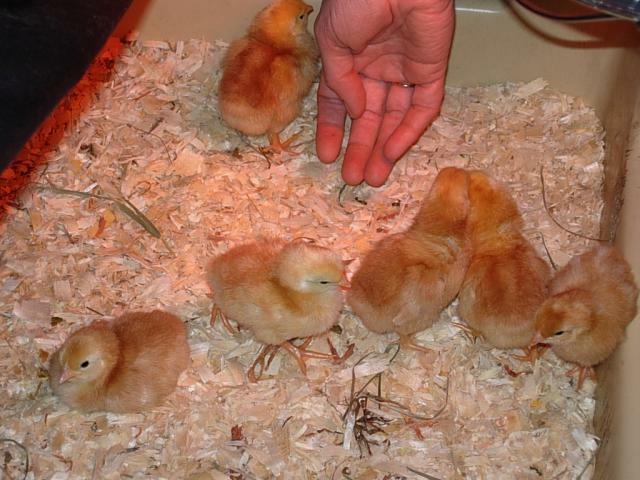 UPDATE: The Buff Orpingtons have arrived today, April 21, 2011! 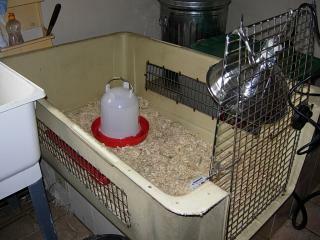 UPDATE: They're out of the brooder and out in the coop, May 31, 2011! 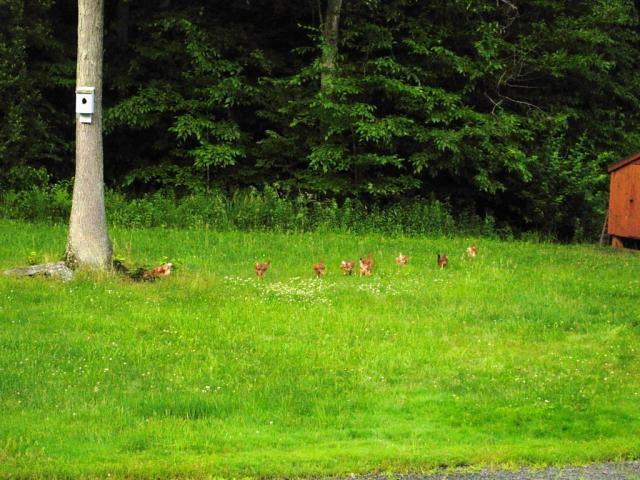 UPDATE: FREE RANGE and loving it, June 15, 2011! 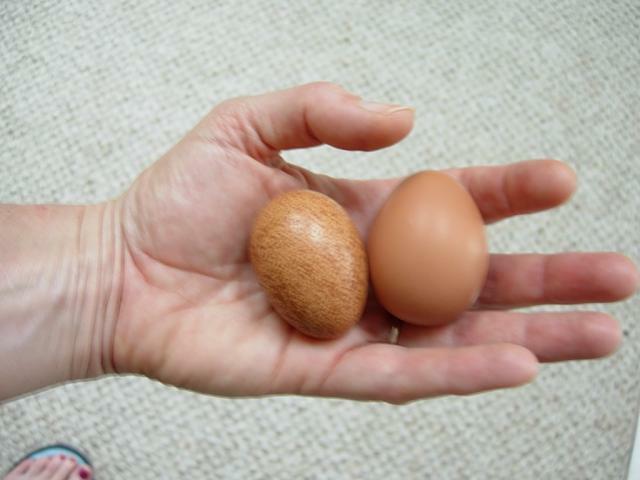 UPDATE: Woo hoo - our first eggs July 29, 2011! 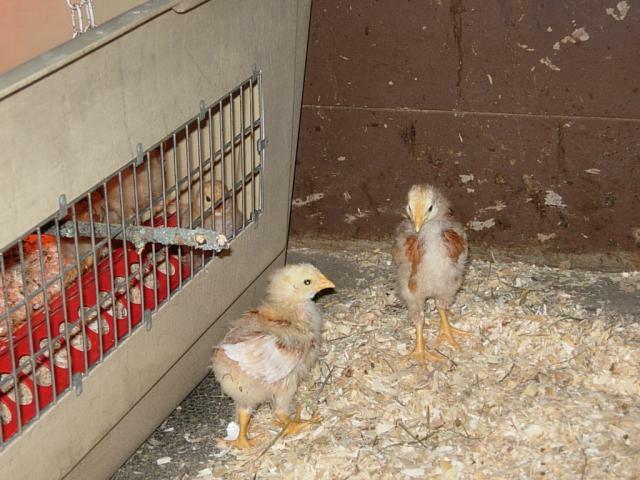 Here's our second set of chicks, the Buff Orpingtons - Brenda's naming them after princesses. They seem to be getting along just fine with their older siblings! 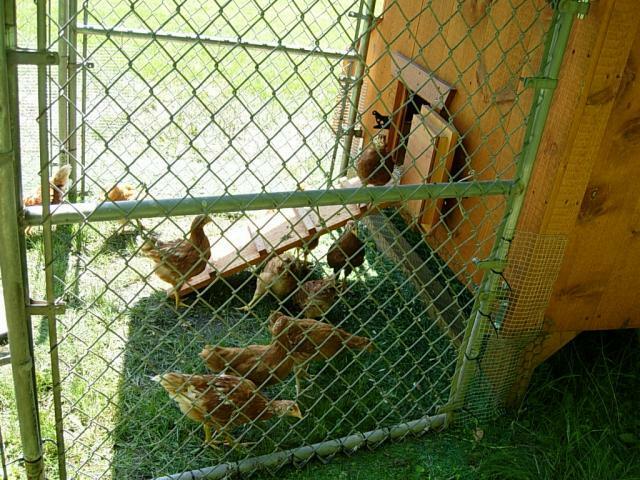 Phase 4: It was Graduation Day on May 31st as the girls were moved from the barn to their new home in the coop! 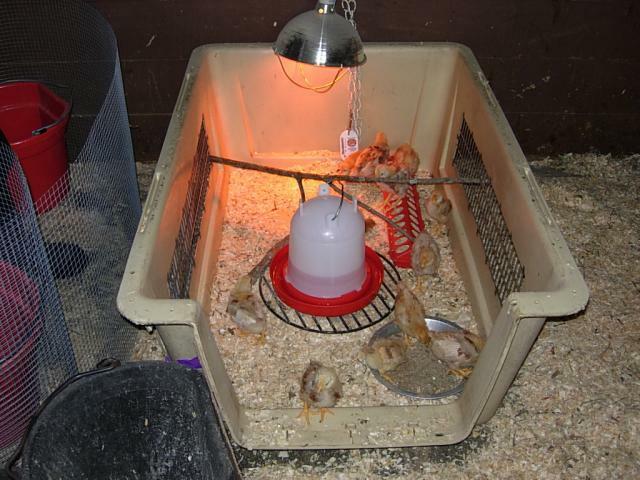 Phase 5: Home, home on the range! 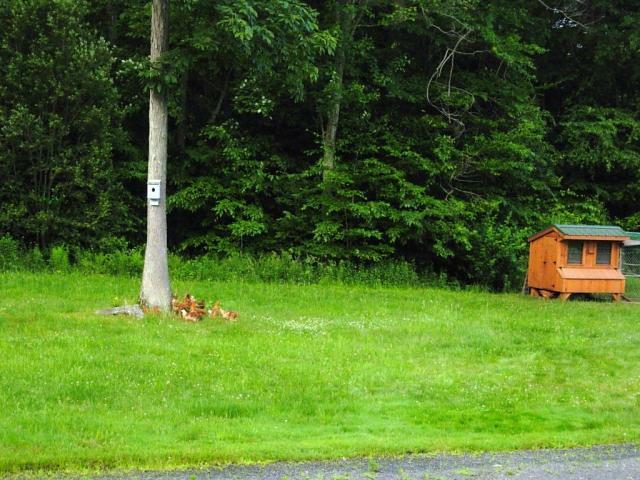 Apparently they love wandering around the backyard now. 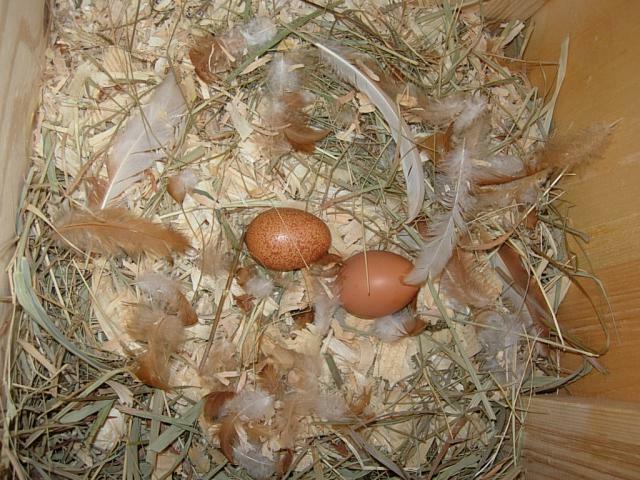 Phase 6: Our first eggs!! 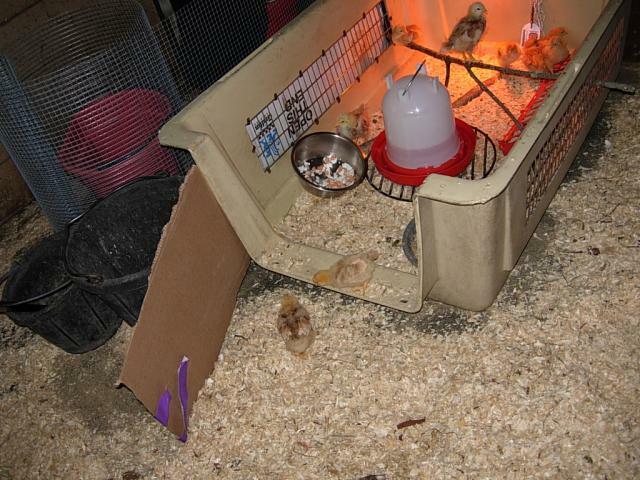 And they're only 3 1/2 months old - the chickens, that is not the eggs . 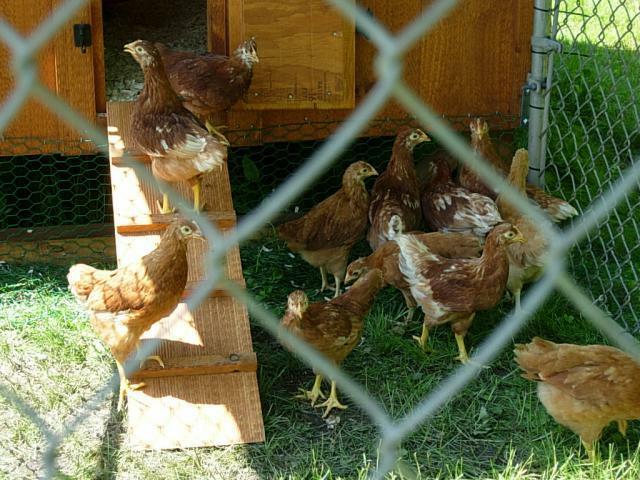 "Purchased coop, not a "how to". 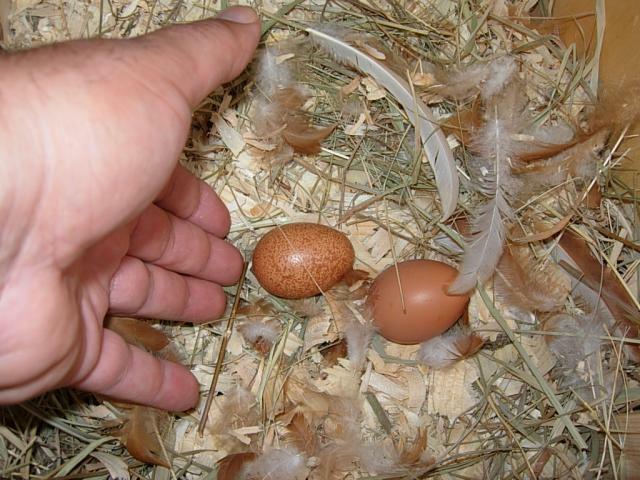 Lovely photo"
journey of progression through brooders. Loved the pictures along with the story of how you started out. 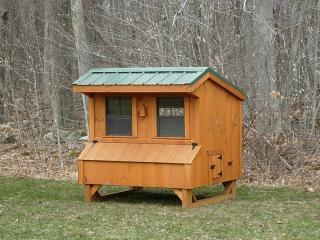 Hope your girls are enjoying the chicken coop- I have one like that and I absolutely love it. 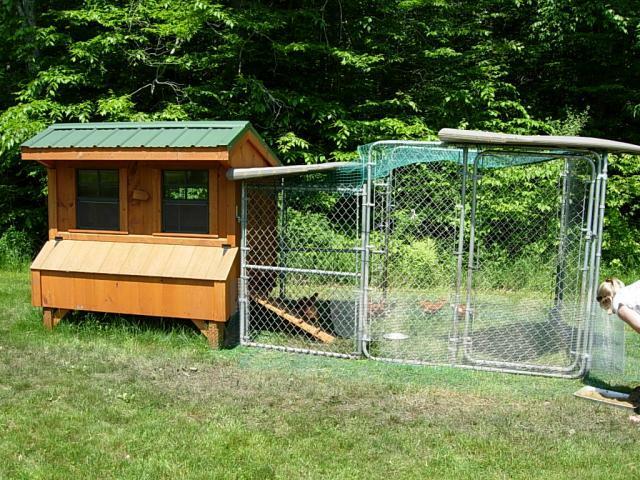 nice coop, how many chickens does it house?